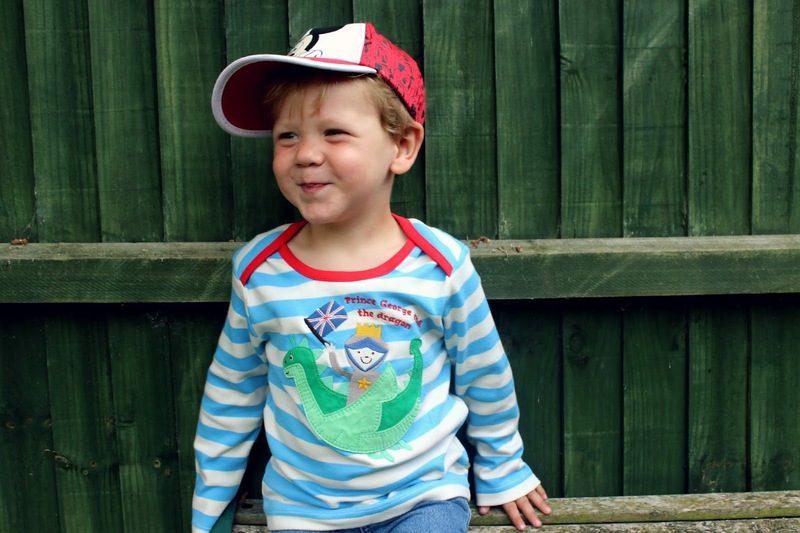 Since becoming part of the Frugi Family earlier this year I have completely fallen in love with the brand. Their designs are fantastic, especially for boys as they tend to stay away from the usual slogan and character styles you see in supermarkets and instead make funky, cool, and pretty items. The quality is amazing and I think the prices reflect the design and quality. We are slowly adding to our collection, and since Charles recieved his fantastic outfit to celebrate Frugi's 10th birthday we have purchased the same dinosaur tshirt but for Harry and also the crab print too. We are big fans of the Royal family *cough our boys names cough* and we celebrated the birth of Prince George last year with a tea party, so this year we didn't want to miss out on any celebrating at all. 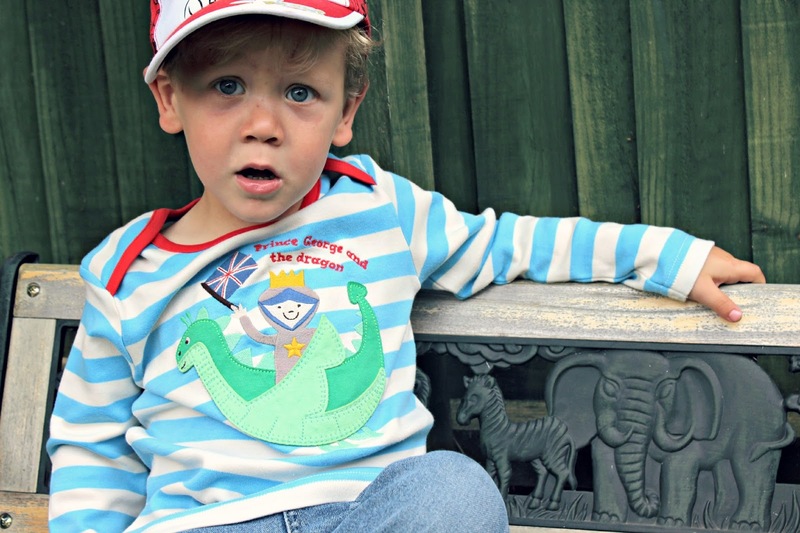 When Frugi chose to send us a limited edition 'Prince George and the Dragon' top for Harry, especially made to celebrate Price George's First Birthday, I was over the moon. 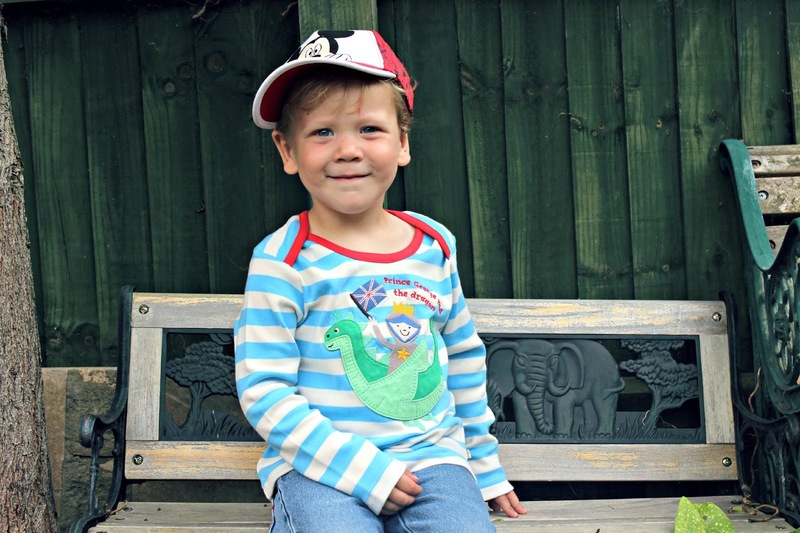 The exclusive t-shirts, of which only 60 have been produced, are made from Frugi’s signature super-soft 100% organic cotton interlock, with a beautifully detailed ‘Prince George and the Dragon’ embroidered applique. The tops are sure to be a hit with parents and children alike; as well as being customarily cute they’re also practical with an envelope neck to make it really easy to pop over little heads! 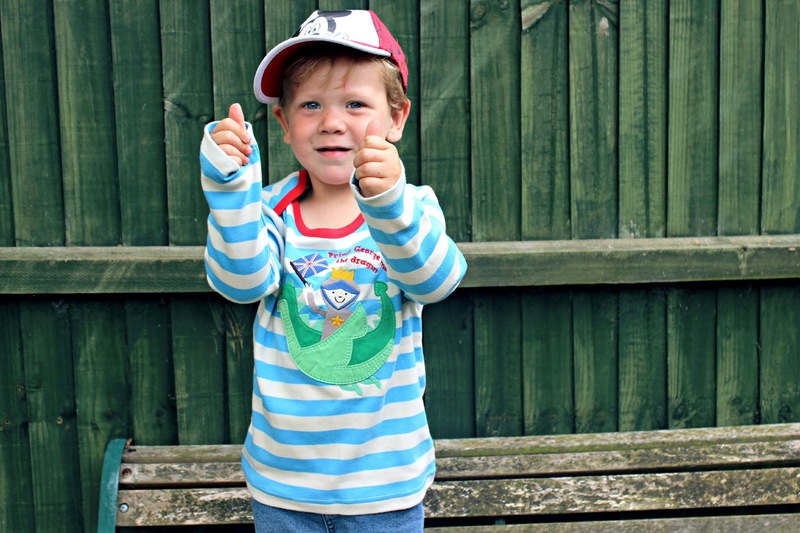 The sixty t-shirts will cover ages 0-3 months to 3 years, and Frugi have some very exciting plans for them. 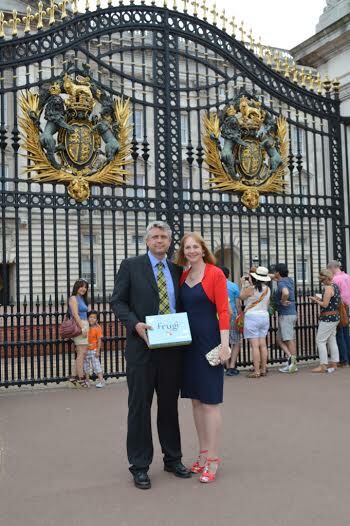 This month Frugi founders Lucy & Kurt Jewson were lucky enough to meet The Queen at Buckingham Palace in recognition of the company’s recent Queen’s Award for Enterprise...which is such fantastic news and very well deserved. Rumour has it that there is a Limited Edition tshirt in this box to be handed over to Prince George himself. Although the t-shirts would be prized by collectors, and could retail at a premium price, Frugi have decided to use some for charity auctions and competition winners. 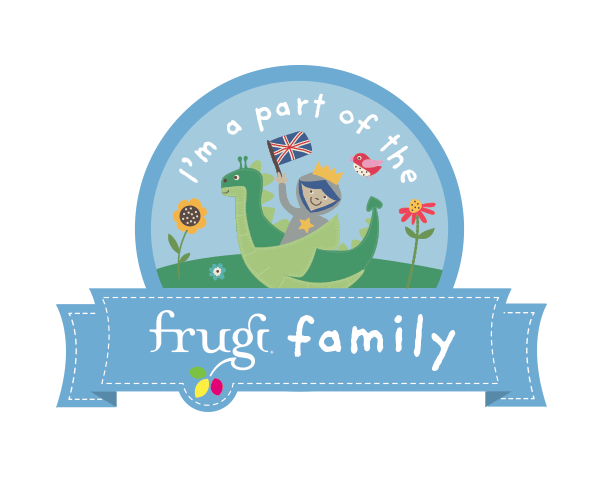 Frugi fans should keep a beady eye on their Facebook page and Twitter, as they are sure to be giving one or two away!